Are you ready to ski the Greatest Show on Snow? Skiers from 49 States and 22 countries participated in 2019! Part of the Worldloppet circuit of 20 international ski marathons and part of the American Ski Marathon series of 13 races. All participants must be 18 years of age or older on race day to register for the American Birkebeiner. It is important to always register under the same name (exact spelling) every year in order to keep track of your previous race finishes. If you are unsure of the name you have previously registered under or if you changed your name, please call the Birkie office at 715-634-5025, Ext. 0, or email registration@birkie.com. 2020 Birkie Green Gear Bag – Now from SWIX! It’s Back for 2020! Everywhere we looked, during Birkie week 2019, we witnessed skiers using their awesome reusable Birkie gear bags! 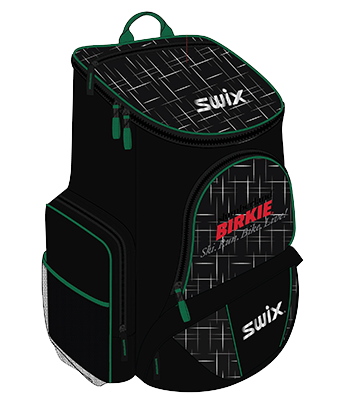 This year, as part of the Birkie Green initiative (details coming this summer) we’ve designed an all new custom Birkie Green gear bag, this time from SWIX! The 2020 Birkie Green gear bag from SWIX has all new functionality and styling, specifically for skiers. 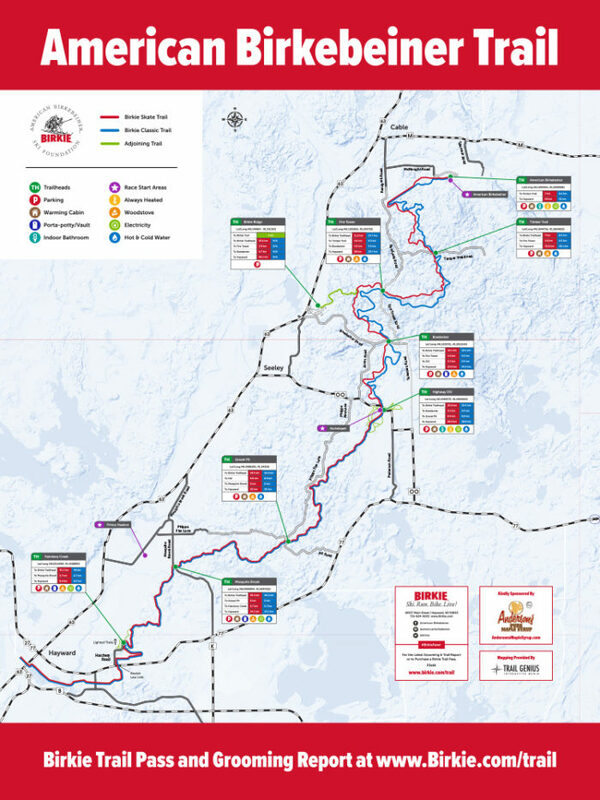 The American Birkebeiner Ski Foundation utilizes a seeded start structure for four of its events: Birkebeiner Skate, Birkebeiner Classic, Kortelopet Skate, and Kortelopet Classic. Participants are seeded into starting waves based on their race history. The first priority for wave placement is your best result from 2016, 2018 and 2019 Birkie events for the same event which you are registering- distance and technique (see the Wave Seeding Criteria tables below). Wave placement will be made based on the top finish which matches the race you are currently registered for. If you do not have a finish time for that specific event from those years, but do have a finish time from any of the other three seeded Birkie events in the same time period, you will be placed in a wave based on the best finish result from that event, plus or minus an adjustment factor which accounts for the historical difference in the strength of competition between the races (see the Event Adjustment Factor table below). If you have participated in multiple other Birkie events in the past, wave placement criteria will use results from the similar distance race, then from a similar technique. Participants who do not have a Birkie event finish time from those years will be placed in the last wave. The goal of wave placement is to place participants of similar abilities together to minimize passing and encourage a smooth flowing race. There are also three special waves for those who qualify; Spirit of 35, Wave 70, and Elite Wave. Details for each are found below. Participants may request to change from the Birkie to the Korte or Prince Haakon, and/or technique between Skate and Classic at any time until 4:00pm CST on January 24, 2020. A change fee of $15 plus any difference in entry fee will be applied. You will receive an updated e-mail confirmation reflecting the change once the change has been made. If you do NOT receive an updated e-mail confirmation within 10 business days, contact registration@birkie.com. This wave celebrates the spirit of the 35 intrepid skiers who finished the first Birkie in 1973. It is comprised of a small group of skiers with the most Birkie experience and those who have a special place in the race’s history. The current group of Spirit skiers have at least 40 Birkies completed, including Birkie Founder, Ernie St Germain, who has finished all 45 Birkies! Cross country skiing is a lifestyle sport that allows people to stay active and healthy into their later years. Each year the Birkie provides an opportunity to celebrate this for nearly two hundred skiers over the age of seventy! We recognize these skiers with a special bib and special wave. The Elite Wave is a long standing tradition at the American Birkebeiner. This wave accommodates competitors who have outstanding credentials from previous year’s Birkie, Korte, Birkie Qualifiers, and other international competitions. Qualifying for this wave provides the advantages of less congestion at the start and the best possible course conditions. The top 200 male and 60 female finishers from the 2019 Birkie Skate race will automatically be assigned a starting position in the Elite Wave for the 2020 Birkie Skate race ONLY. The top 100 male and 40 female finishers from the 2019 Birkie Classic race will automatically be assigned a starting position in the Elite Wave for the 2020 Birkie Classic race ONLY. Athletes racing a different technique in 2020 must request to be placed on the Elite Wave waitlist at elite@birkie.com. Elite Wave entries are open until January 24, 2020. All entries, requests and changes must be made by 4:00 pm central standard time that day. Position in the Elite Waves are only guaranteed for returning skiers who met the above finish place criteria. No exceptions. If you have an Elite Wave finish two or more years prior, top Kortelopet finish, or other outstanding cross country ski race result, you may request to be added to the Elite Wave Waitlist by sending an email to elite@birkie.com. Open positions in the Elite Wave will be filled from the Waitlist after January 24, 2020. Competitors from all FIS member nations that meet the eligibility requirements will be included in the Seeded Group in the Birkie Skate Race. This group will start as part of the Men’s and Women’s Elite Birkie Skate Waves. However, these competitors will be assigned designated starting positions at the front of the wave and the rest of the elite wave must stay behind the seeded group until the gun goes off. There is no Seeded Group in the Birkie Classic Race. Requests for Seeded Group entry must be sent to elite@birkie.com prior to February 14, 2020. There will be a mandatory meeting for Seeded Group competitors at 5:00 pm on Friday February 21, 2020 at the Hayward Veterans Community Center. Athletes without team affiliation are encouraged to attend the meeting and will have the opportunity to ask questions. All participants in the Birkebeiner must be 18 years of age by February 22, 2020. Kortelopet skiers must be 13 years of age by February 21, 2020. There are no refunds allowed for any reason including race cancellation. Entry fees are non-transferable between individuals or to future races. Participants who complete an event for which they are not registered (for example – ski the skate course when they registered for classic) will be credited for completing the race but will not be given a finish time, will not be eligible for awards and will not be included in the official results. A complete list of maps and trail conditions can be found on the Trails page. Experience the race again or for the first time! 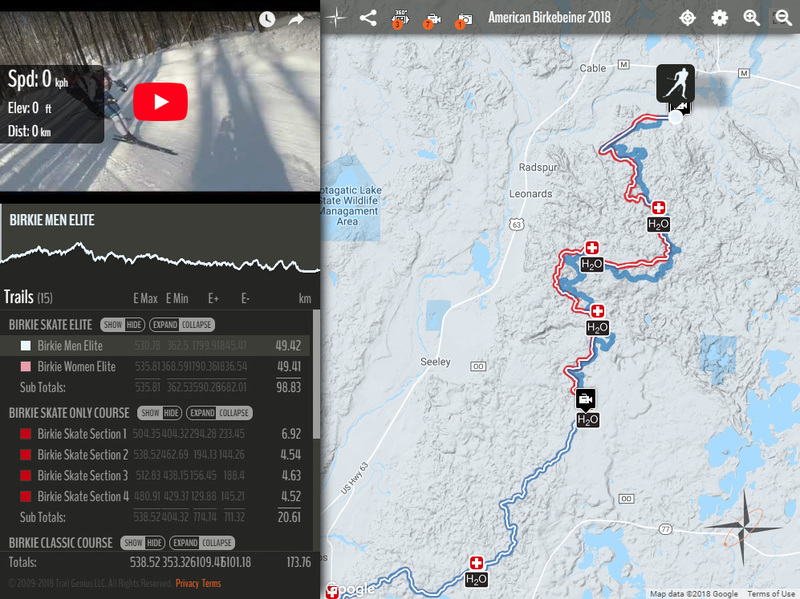 Explore every leg of the race and feel the rush as you virtually ski the American Birkebeiner race! Immerse yourself in the 360 videos of the race start, cross the International Bridge, and witness the amazing finish on Hayward’s Main Street! Try skate or classic, this interactive map experience has it all! Register for the Slumberland American Birkebeiner and make it real! Because…once the race is closed…it’s closed. Don’t miss out! 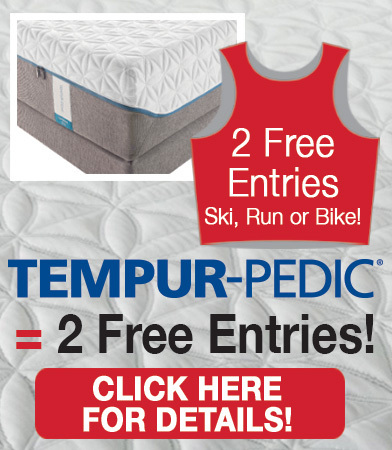 In addition, they will receive a premium, luxury mattress set from Slumberland, title sponsor of the American Birkebeiner. Win Your Birkie Wave—Win a Pair of Pillows! The top male and female in waves 1 and up of the Birkie will each receive a Luxury Pillow Set from Slumberland, valued at $198! 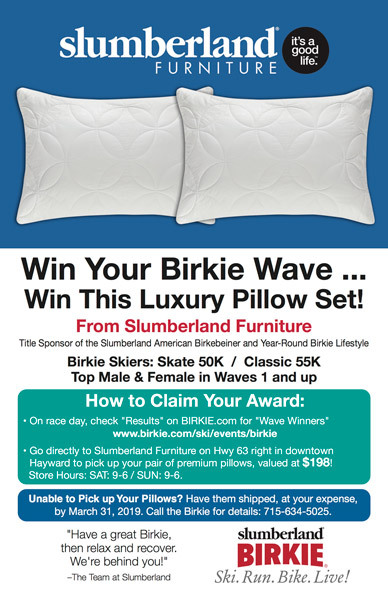 * To Claim Your Award, check Birkie Results online then go directly to the Slumberland Furniture store on Highway 63 right in downtown Hayward to pick up your pair of premium pillows. It’s close enough to walk from Main Street, or there is plenty of parking. Store Hours: SAT: 9-6 / SUN: 9-6. Unable to pick up your pillows? Have them shipped, at your expense, by March 31, 2019. Call the Birkie for details (715-634-5025). Prize money will be awarded to the first three male and female competitors who cross the finish in the Birkie Classic Race at a ceremony held in the Celebration Plaza at 12:30 pm. First time Birkie Finishers will receive a commemorative Medal at the finish. Skiers finishing subsequent Birkies will receive a pin recognizing the number of Birkies completed at the finish. 18-24, 25-29, 30-34, 35-39, 40-44, 45-49, 50-54, 55-59, 60-64, 65-69, 70-74, 75-79, 80-84, and 85 -89. Birkie skiers completing their 10th race will be awarded a personalized commemorative plaque. Birkie skiers completing their 20th race are eligible for the status of “Birchlegger”. Birchlegger is the English translation for the Norwegian, Birkebeinerne, the nick-name of the birch barked armored, warriors who saved Prince Haakon. These special skiers are recognized with the honor of wearing a special bib in the race and a personalized award for 20, 30, and 40 years completed. Birchleggers will receive their awards at a special breakfast hosted by the Birchleggings Club on Sunday morning following the Birkie. First time Birchleggers will be treated to breakfast at no charge. Worldloppet is an international association of long distance ski races, created in 1979 from the inspiration of American Birkebeiner creator, Tony Wise. The Birkie is one of the nine races that comprised the founding events. The Worldloppet has grown to 20 races on five continents. There are many Birkie Skiers who have experienced traveling to races around the globe. If you are interested in a particular race or just about the WL in general, we can connect you with someone who can share their experience with you and help to plan a trip. Click Here to submit an inquiry. Tens of thousands of skiers around the world record their finishes of the Worldloppet Competitions in a special Passport. Finishers of the Birkie Skate or Classic can have their passport stamped or purchase a new passport following the race on Saturday or on Sunday. Worldloppet passports may also be purchased on-line by clicking HERE. If you have completed a Birkie in the past, you can request that a stamped passport be mailed to you at any time. Cost of new passports are $35. All are welcome to join Worldloppet Skiers, Delegates from other Worldloppet Competitions and honored guests at the Worldloppet Breakfast held 8:00 am, Friday, February 22nd. More information will be coming the winter of 2018-19. 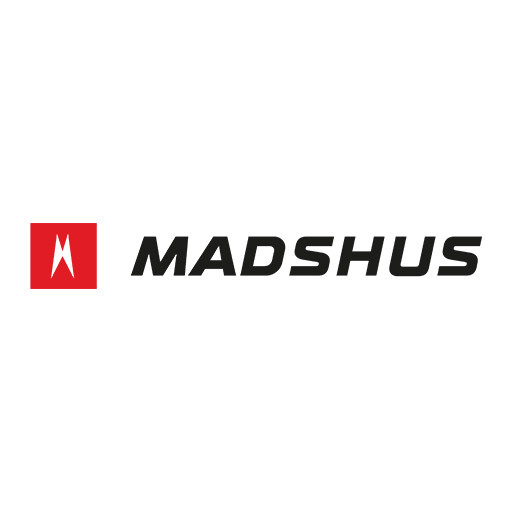 Get your skis waxed by the best! 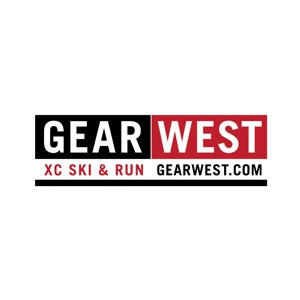 Check out the services below from NEW MOON and GEAR WEST!